If the idea of combining drumming and dancing sounds right up your alley, then get hold of some Ripstix (neon green, lightweight drumsticks that are specifically designed for the routine) and sign up for a POUND class. Created in the US by Kirsten Potenza and Cristina Peerenboom, two recreational drummers and former college athletes, it is a full-body cardio session that combines light resistance with constant simulated drumming while fusing pilates, yoga and strength training. 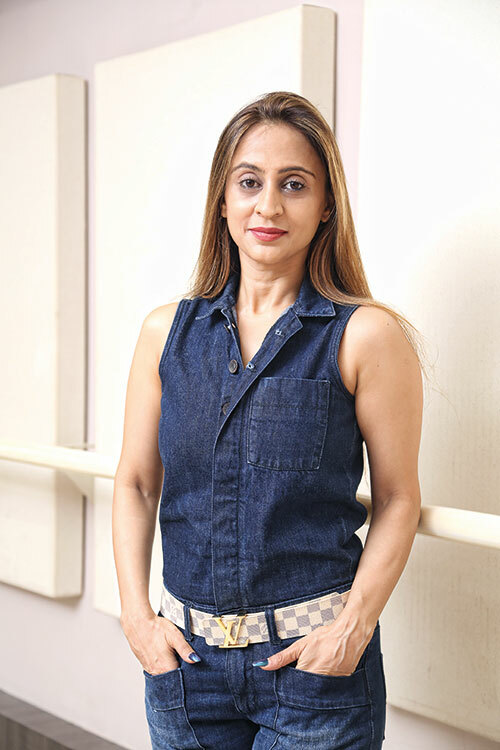 Closer to home, Priti Panchmatia, a fitness instructor with over a decade of experience, has brought POUND to Mumbai. Panchmatia was drawn to this form of workout since she feels that it’s a perfect combination of toning and cardio. “You can burn between 400 and 900 calories per hour and sculpt infrequently used muscles. It works out the entire body from your abs and core to your glutes. What’s more, the moves are easy to follow,” says Panchmatia. In fact, your core muscles get a thorough workout in comparison to other movement techniques, which require you to constantly twist your ab area to perform the moves. Though, the benefits aren’t just restricted to your waist; rather, you lose weight all over. In addition, it works your shoulders, biceps, forearms and the back. “Apart from burning fat while exercising, cardio interval training helps you continue to do this even after your workout. It’s intense, but worth it,” says Panchmatia. And here, instead of keeping an eye on the clock, you are distracted from the high-intensity routine by the rhythm of the music. Each song is two to four minutes long and is carefully calibrated with interval peaks and extended fat-burning sequences, so after you’ve completed a 45-minute class, you’ll have done up to 15,000 reps and drummed through more than 70 techniques without even realising. The benefits go beyond just sculpting your body. Since this workout involves moving every part of your body at the same time while focusing on one specific movement, it helps to improve concentration, sense of rhythm, timing, coordination, speed, agility and endurance. “In addition, studies show that drumming has powerful brain-boosting and stress-relieving effects. The rhythm of drumming permeates the entire brain to improve focus and decision-making skills. With all these benefits, what’s not to love?” questions Panchmatia.